From the Pulitzer Prize–winning author: the essential stories across three decades that showcase his indomitable imagination. Steven Millhauser’s fiction has consistently, and to dazzling effect, dissolved the boundaries between reality and fantasy, waking life and dreams, the past and the future, darkness and light, love and lust. The stories gathered here unfurl in settings as disparate as nineteenth-century Vienna, a contemporary Connecticut town, the corridors of a monstrous museum, and Thomas Edison’s laboratory, and they are inhabited by a wide-ranging cast of characters, including a knife thrower and teenage boys, ghosts and a cartoon cat and mouse. But all of the stories are united in their unfailing power to surprise and enchant. From the earliest to the stunning, previously unpublished novella-length title story—in which a man who is dead, but not quite gone, reaches out to two lonely women—Millhauser in this magnificent collection carves out ever more deeply his wondrous place in the American literary canon. 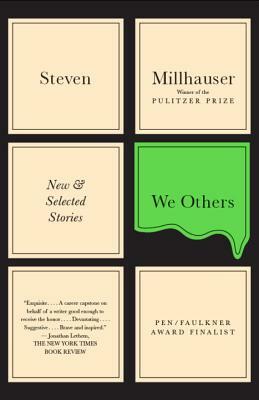 Steven Millhauser is the author of numerous works of fiction, including Martin Dressler, which was awarded the Pulitzer Prize in 1997, and, most recently, Dangerous Laughter, a New York Times Book Review Best Book of the Year. His work has been translated into fifteen languages, and his story “Eisenheim the Illusionist” was the basis of the 2006 film The Illusionist. He teaches at Skidmore College and lives in Saratoga Springs, New York.